While most of us try to keep up regular cleaning of our vehicles, such as removing garbage and cleaning up any wayward coffee spills, we often neglect the finer details. 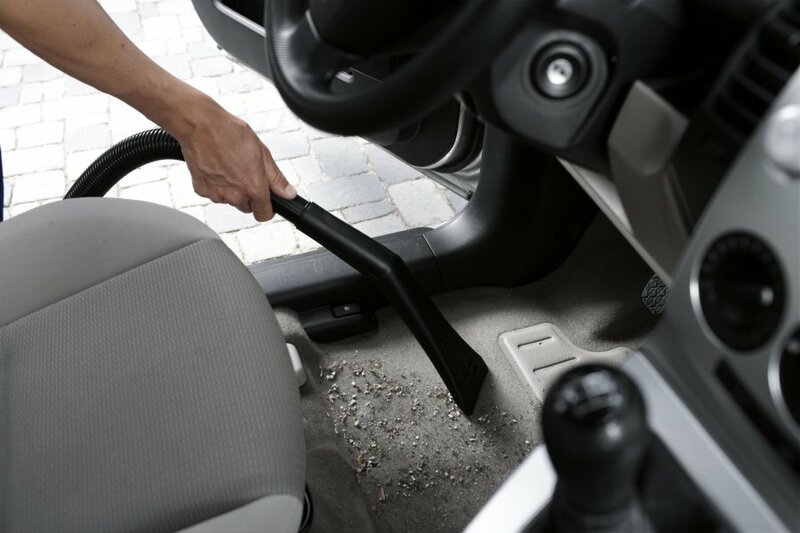 A great way to start cleaning the interior, after removing garbage and other items that don’t belong in the car, is to vacuum and wipe everything down. Take out the floor mats so you can get a full clean underneath and, once you're done, make sure they are secured back to the floor of the vehicle. Unsecured mats can be dangerous especially on the driver’s side amongst your foot pedals. Speaking of pedals – while you may be tempted to give these a clean, it’s best to just wipe them down with a damp cloth. This goes for steering wheels and gear shifters as well - using a cleaner can leave behind a film or grease and cause slippage while you’re driving! For cleaning products, avoid some common household cleaners, like Lysol-wipes, on your dash and other interior surfaces. These cleaners can dry out your plastic and leather surfaces and cause fading and cracking. An ammonia-free glass cleaner (ammonia may cause some surfaces to bleach) can work great for plastic surfaces and your gauge covers and stereo screens. You can also opt to use a bucket of hot water and a clean, lint-free cloth for many interior surfaces. Cleaners that are specifically for vehicle cleaning and for the materials that are in your vehicle will work wonders as well. Whether you have fabric or leather seats, your first step will be vacuuming to remove any easy to clean dust and dirt. For fabric seats, you can get internal shampoo. Paired with a sponge and some warm water, this shampoo can get out deep-seated stains with just a little bit of elbow grease. A leather cleaner or saddle soap and a microfiber cloth will be best suited for leather seats. Make sure you read the directions before applying, as each cleaner can be vary in its recommended application! In most cases, directions will call for massaging the cleaner into the leather with a soft brush and then wiping it clean with a cloth. When cleaning the inside of your windshield, use a streak-free glass cleaner specifically designed for vehicles. Some popular glass cleaners can leave marks on the window that would obstruct your views. 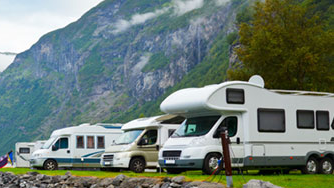 You can find many inexpensive options at automotive stores like Canadian Tire. 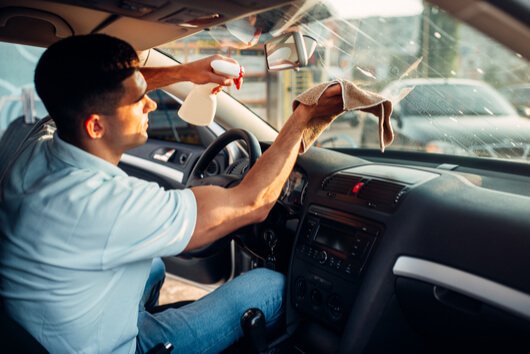 Cleaning your windshield and other interior windows should be done last, to get rid of any overspray from the other cleaners used, as this can leave a film and cause glare – especially during night driving. Special note about soft or convertible tops – treat these much the same way as with fabric interior seats. Using a soft bristle brush, you will want to take a small amount of solution and gently work it into the fabric. You can also find products specifically designed for working on a soft top convertible. 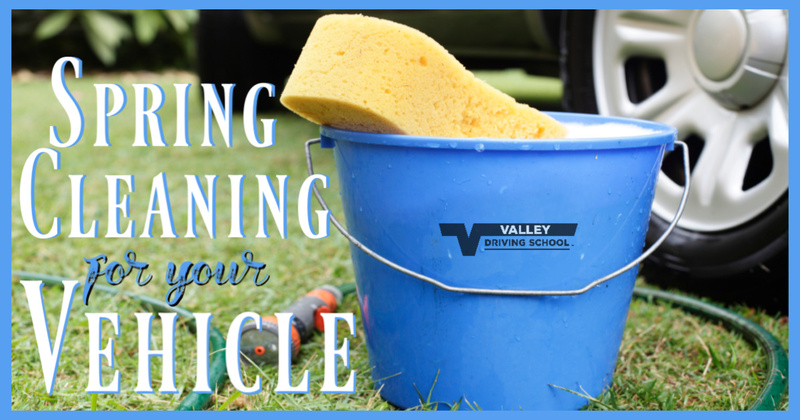 For the remainder of the exterior, and those vehicles with connected roofs, follow the “three-bucket” method for cleaning. This method will make the most of your water and cleaning products. Start with 3 buckets of hot, clean water and add your choice of cleaning solution to one bucket. Use a giant sponge or microfiber cloth to gently clean the dirt off your vehicle, lowering the risk of scratching the paint. Dunk your sponge into the cleaning-solution bucket and use this to clean - making small circular motions. Start at the top of the vehicle and work your way down. When you need to clean your sponge and add more water, dunk it into the clean water first. By utilizing this multi-bucket method, you’ll remove the dirt from the sponge into one bucket, keeping your cleaning solution clean. Continue with this method from top to bottom, leaving your wheels and tires for last. After washing the tires with the same method, this is where the third bucket comes in! Add some cleaning solution to the third bucket and use this exclusively to wash the wheels and tires. With this being the dirtiest part of the vehicle, you may need to refresh the water between tires, depending on the size and amount of winter dirt, salt, and sand caked onto them. 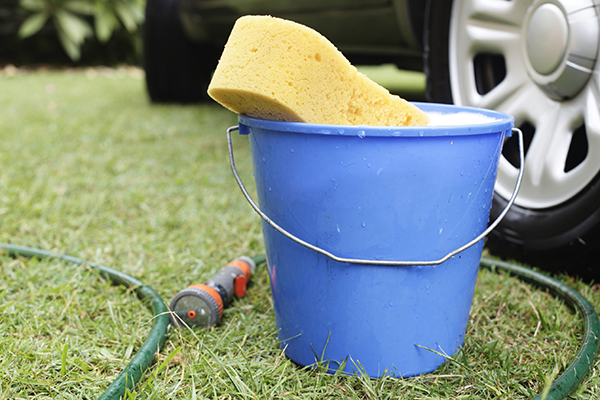 Once the wheels have been washed, use the hose to rinse any remaining soap residue clear. Now that your vehicle is sparkling like new, you can leave it to air dry or use a fresh microfiber cloth or chamois to speed up the process. You can give your tires some extra-special attention with tire shine products. These products come in all forms – sprays, gels, wipes – so you have a nice selection to choose from for the variety of vehicle and tire types out there. These products are used to, not only give your tires a bright shine, but they also protect against cracking, fading, and scratches. Once your vehicle is completely dry, you have the option to wax and polish your vehicle to make it sparkle and shine to the max. Most manufacturers recommend waxing every three months. While a professional will always be the safest option to protect your investment and finish, it can definitely be cheaper to complete the job yourself. Many detailing companies that offer waxing start around $75. Waxes that you apply yourself can be obtained for a fraction of the cost! Make sure you read all of the directions before purchasing or applying any wax as some may not be recommended for your vehicle’s finish. Before you apply the wax, check the weather and temperature for the day. You should not wax your vehicle if it’s going to be hotter than 26°C or colder than 10°C. Most companies recommend waxing between 15° and 25°. With temperatures too high many waxes can melt and liquify before being able to protect your vehicle, rendering them almost useless. Cold temperatures can have the same effect, but in the opposite manner – the wax will not be able to warm and become pliable enough to work into your vehicle’s coat. Ensure your vehicle is out of direct sunlight before applying, so that the wax dries properly and evenly. Direct sunlight that increases the temperature too much can cause the wax to bake onto your car, making it difficult to remove and could cause harm to your paint. Many waxes will come with their own applicator or you can use a foam applicator pad to apply the wax. You can also purchase a motorized wax applicator, which will make the application and buffing processing smoother and faster. 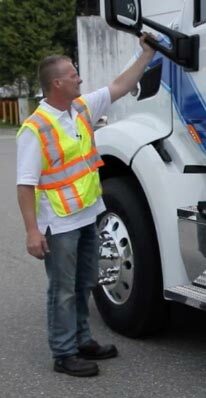 Start by working the wax into the body of your vehicle in small sections. Depending on the type product, you may need to buff out small sections as you go, but some waxes will allow you to cover the entire vehicle. Keep a clean microfiber cloth handy to wipe away wax residue if it is not buffing out. 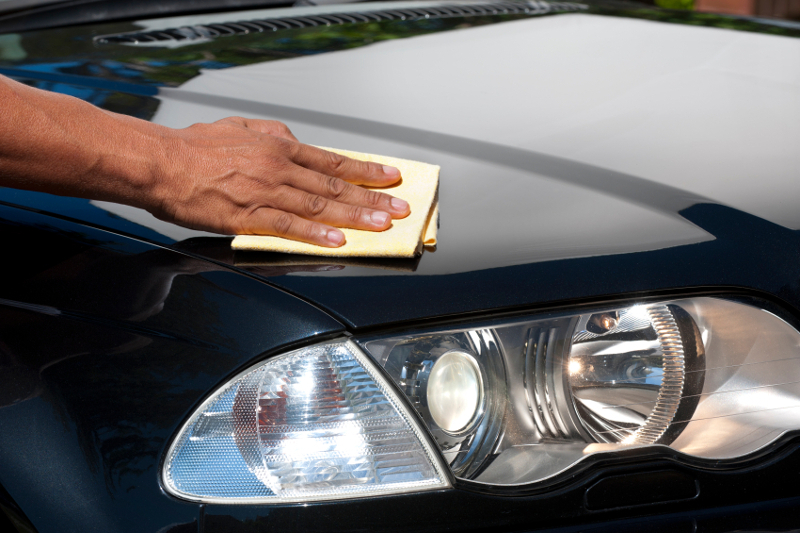 Cleaning and waxing your own vehicle can make your vehicle look great but it can also be a lot of work. Keep your eyes open for our upcoming blog where we will delve into DIY hacks to maintain your vehicle and make your life on the road easier.